War-hardened samurai gather in the deepest night, extinguishing a candle with each kaidan (supernatural tale) they whisper. At the end of the 100th tale, when the room plunges into blackness with a single breath, otherworldly spirits are summoned. Or so goes the popular Edo Period (1603-1868) game, Hyakumonogatari Kaidankai (A Gathering of 100 Supernatural Tales). 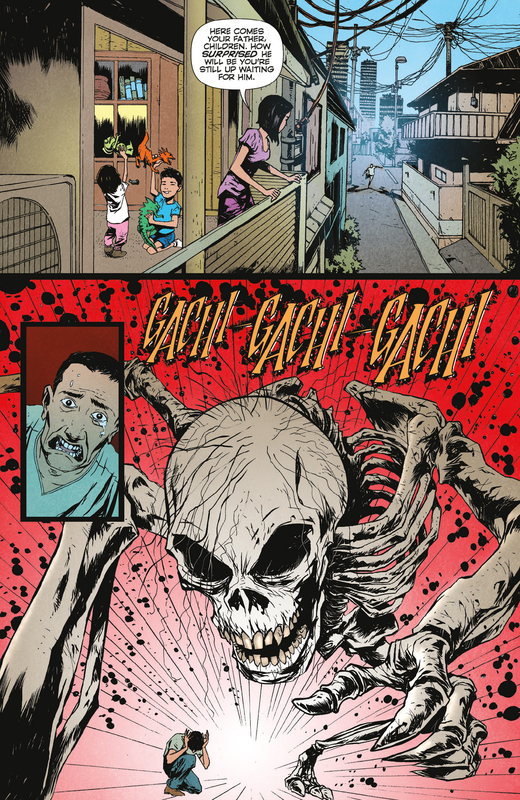 Anthony Bourdain’s Hungry Ghosts, by Joel Rose and Anthony Bourdain. It’s a deliciously sinister game for storytellers, and it’s no surprise that kaidan or kwaidan, as it is sometimes transliterated, caught the attention of two modern American storytellers. Hard-boiled, multifaceted writer Joel Rose — best known for his satirical thriller, “Kill Kill Faster Faster” and his 2001 urban historical, “New York Sawed in Half” — paired up with the late Anthony Bourdain to pen “Anthony Bourdain’s Hungry Ghosts,” an illustrated collection of fright and food evoking the kaidan tradition. Bourdain’s work in cuisine and culture garnered fans across the globe as he touched our shared humanity. 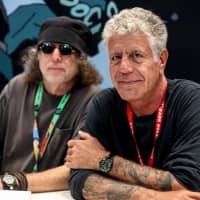 For the legion of fans still mourning his untimely death earlier this year, “Hungry Ghosts” proves a fitting finale for this master storyteller and culinary commentator. Reworked within Rose and Bourdain’s imaginations, the samurai are transformed into the world’s greatest chefs, gathered for a charity event when their wealthy benefactor, a mysterious Russian oligarch, suggests they play the infamous storytelling game. The result: eight tales loosely connected to food, with each chef providing a savory story. Feast on the misadventures of a ramen cook who disdains the pleas of an emaciated beggar and meets “The Starving Skeleton,” or the young apprentice chef who must battle “The Heads,” or the classic kaidan tale, “The Snow Woman,” cleverly reimagined with a modern twist. 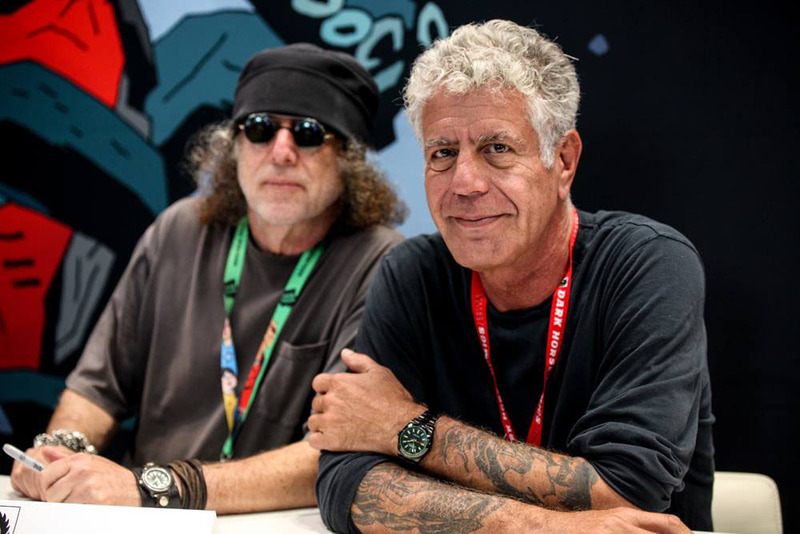 In distinctive Rose/Bourdain tradition, underneath the spine-tingling entertainment of each lies a pithy strand of street-smart wisdom: show compassion; control your greed; respect others; use discretion. 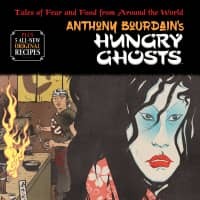 It wouldn’t be Bourdain without a celebration of food, and “Hungry Ghosts” also includes five original recipes that each link to a story. Whether it’s the “Tokyo Ramen,” “Saffron Risotto” or “Pan-seared Duck Breast with Red Cabbage,” each recipe adds a light-hearted spice to the mix. In addition to food and fright, there’s a full appendix cataloging the ghosts and ghouls that traditionally inhabit a kaidan tale, again masterly illustrated. An essay at the end offers a behind-the-scenes glimpse of how the project took off and provides recommended reading for newly initiated fans of kaidan. 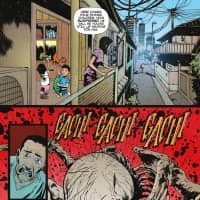 The two soon discovered they shared more than just a love of comics: Rose grew up around restaurants in New York where his father was a waiter, and himself bussed and worked tables around the city as a young, struggling writer. 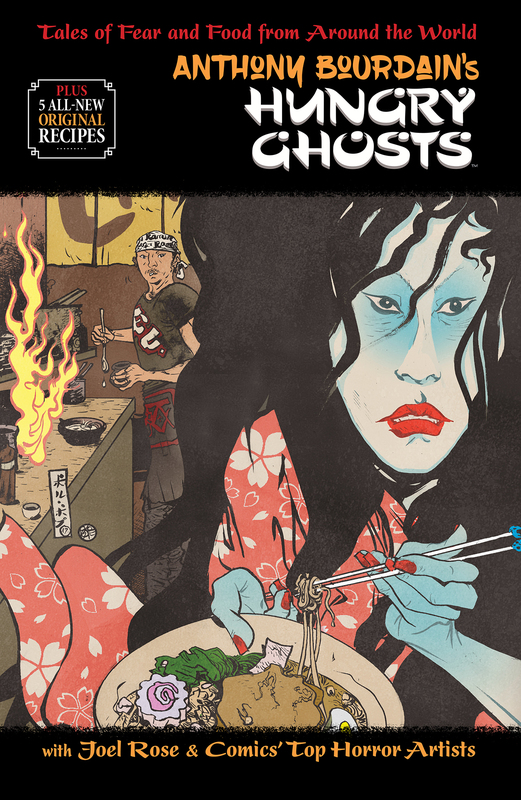 “Hungry Ghosts” is a special book and one that will be hard to shelve: graphic art, cookbook, spooky tales, a testimony to friendship and a cultural introduction to supernatural Japan. Take a seat at the table and read.